James, our Aussie friend who worked here with us in Paris, came back to Sydney to make one of the most interesting things on this planet: the Ninja Blocks. 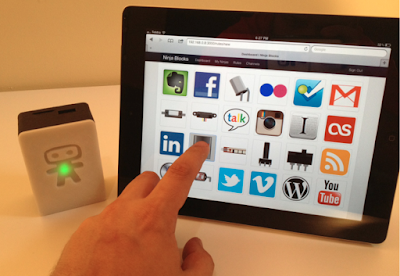 The Ninja Blocks platform makes it trivial to build web & mobile apps that talk to hardware. 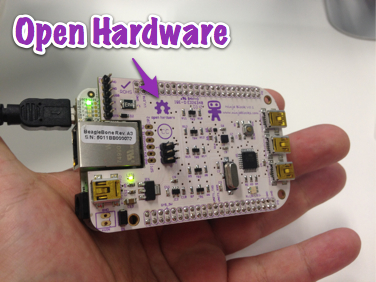 Get up and running in minutes, and begin talking to hardware & connected devices with the web languages you already know. Focus 100% on your app, and never have to worry about embedded programming, electronics, & networking protocols again. What can we do with Ninja Blocks? Rule the connected devices in your lifeWith the Ninja Rules Engine we can create rules that turn on the lights when we're not at home, or send an SMS to our phone when someone is at the front door. 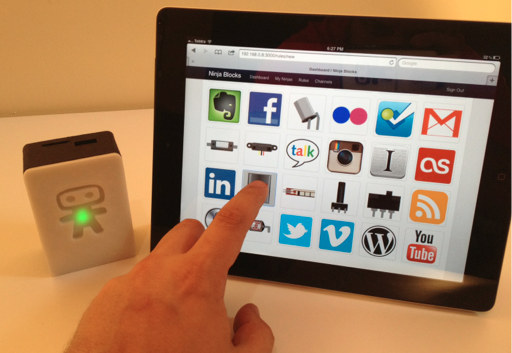 With apps built on REST API, the Ninja Block can be whatever we want it to be. It's our security system, our wine monitor, our cat's entertainer, it's our home thermostat, and more. Build a web connected security solutionWithin five minutes we can create a security system that texts us whenever motion is detected, or if a door or window is opened. We can even have images saved to Dropbox. Monitor and control our things anywhereMake sure the iron is turned off or if the kids are at home? With the remote control app we can control things or keep an eye on our home from wherever we go. Do you study a enterprise before choosing a supplier or coordinating a large consignment of pieces? This doesn't signify reading their promotional material on press issues or websites, but digging a little deeper and finding out about their background, services, affray and associates. Well this could be sensible to browse as a result of it had been unaccustomed state and numerous of others to boot, i frequently observe new and distinctive things on this web log and this could be the standard i frequently visit this information processing system, and this could be very serving to others..
You can have the access to the SMS and email, monitor Viber, Skype, WhatsApp, KiK Chat and Line Chat instant messengers. Just install the best cell phone spyware and you will solve your problems.